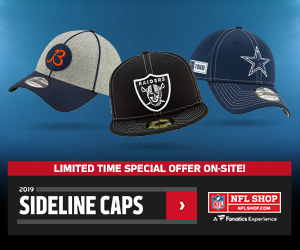 There is an undeniable risk in attempting to predict breakout players — or anything — at this juncture on the NFL calendar. Changes can and will occur, whether via free agency, the draft, trades, etc. As such, this write-up should be taken with a grain of salt, maybe even two grains of salt. In their current situations, however, these respective players have as good a chance of breaking out as acne on a teenager. Garoppolo is somewhat of a cheat answer since he hasn’t played a full season yet in his four-year career but had a mini-breakout last year. The writing is on the wall for a career year as the tall Italian gunslinger turned in QB6 numbers over the last five weeks of the 2017 season. His 7:5 touchdown-to-interception ratio in the six games he played as a 49er last year left something to be desired, but it’s hard to complain about the 308.4 yards he averaged in the five outings in which he started. 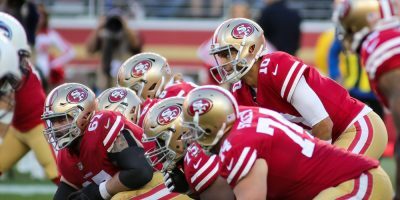 In fact, Jimmy G. was third among quarterbacks over the last five weeks of the season in passing yards (1,542) behind only Jameis Winston and Philip Rivers. Heck, he even ran for a touchdown. Coincidentally, Garoppolo led San Francisco to victory in all five of his starts. Those successes are astounding in their own right, but the fact that he achieved such feats without his best pass-catcher in Pierre Garcon is that much more astounding. The talent, leadership qualities and potential are evident in the 6-foot-2, 225-pound product, but don’t let all of it cause you to reach on him. My personal approach to a draft is to take a quarterback later on and stock up on skill position players in the meantime. It’s early, obviously, but as of this writing, Garoppolo’s average draft position is early in the sixth round, just ahead of Cam Newton, according to ffcalc.com. If that ADP holds its course I’ll probably pass on Jimmy G. come actual draft time. It’s difficult to forget Mixon’s off-field past, but his on-field potential is sky high. Bengals vice president of player personnel Duke Tobin has already dubbed Mixon as Cincinnati’s bell-cow running back. Giovani Bernard will be mixed in, but primarily on third downs and in passing situations. Mixon’s 3.5 yards per carry left us wanting, but a lot of that is on the shoulders of an offensive line that was more vulnerable than a nest of baby birds whose mother has flown the coop. Let’s not forget Mixon was a baby bird in the NFL either. 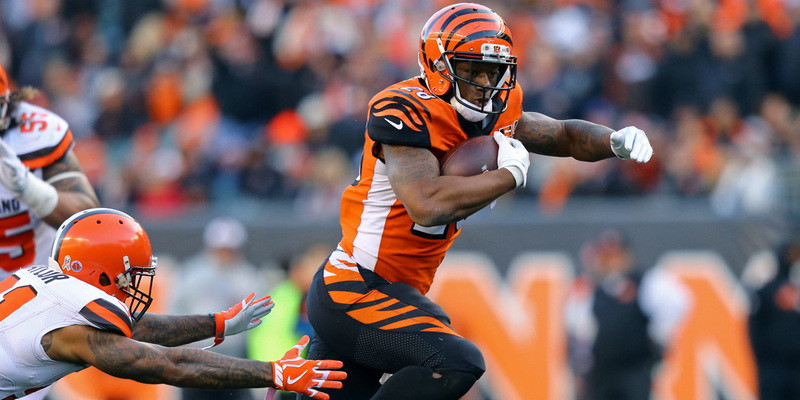 As a rookie, Mixon started just seven games, but still amassed nearly 1,000 total yards and four rushing touchdowns. Furthermore, his involvement in the passing game increased as he was given more playing time, which is encouraging from a PPR standpoint. The Bengals will assuredly address their offensive line woes this offseason and Mixon now has a full year of experience with no one in his way for the starting job. He possesses RB1 upside but is a safer RB2 selection. DeMarco Murray’s future with the Titans is fleeting. At 30 years old, he carries a cap hit of $6.5 million, which is fourth highest on the offense. Vulcan native Spock wouldn’t argue if Tennessee released Murray and gave the backfield keys to the 24-year-old Henry — a move seeped in logic. It hasn’t taken long for general manager Jon Robinson to hype Henry’s potential usage in the Titans’ new offense after hiring head coach Mike Vrabel and company. Robinson said he’s looking forward to working with Henry this offseason and believes he is a reasonable dual-threat running back. What Henry really has going for him is his nose for the end zone. He has found pay dirt 11 times in his first two professional campaigns. Not bad for being Murray’s understudy. He has been used sparingly in the passing game thanks to Murray’s presence, but that should change for the better this year if all goes according to plan. The ingredients are ready for Henry’s recipe for success in 2018. All the Titans have to do is put the pan in the oven. If/when Murray is let go, draft Henry as an RB2 and don’t look back. Foreman went out with a bang in 2017, rushing for 65 yards and two touchdowns in Week 11 before rupturing his Achilles’ tendon. The third-year running back’s potential breakout is largely predicated on Lamar Miller leaving town — which appears to be more likely than not — and Foreman’s recovery from the aforementioned Achilles’. 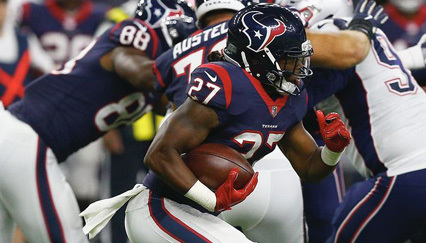 Texans general manager Brian Gaine recently shared his optimism that Foreman will be good to go by Week 1. As for Miller’s status, he carries a salary cap hit of nearly $7 million and has underperformed so far in Houston based on expectations when he was first acquired in 2016. Comparatively, Foreman is just 21 years old and has shown enough potential for the Texans to risk trusting him as their franchise running back. Foreman has the talent and skillset to be a star in the NFL, but the three stars that must align for the former Texas standout to optimally achieve a breakout year are, a full recovery, the maintaining of good health and the release of Miller. If that eclipse comes to fruition then Foreman has low-end RB2 to high-end RB3 appeal. Man crushes have stricken me like anyone else who plays fantasy football, but they are relatively few and far between. Drake is one of the said man crushes. It took some time for Drake to fully win the starting job ahead Damien Williams after Jay Ajayi was traded, but once he did he quite literally ran away with it. Drake faltered somewhat as the season concluded, but he managed to lead the NFL in rushing yards (444) over the last five games of the year and was the No. 8 PPR fantasy running back in that same time frame. Drake is a solid runner — he has a career average of 5.0 yards per carry in his two seasons – and an above average pass-catcher. Drake caught 32 passes despite starting six games and has the ability to catch 60 passes if the Dolphins are willing to use him the way he should be used. The path is not clear for Drake heading into 2018. 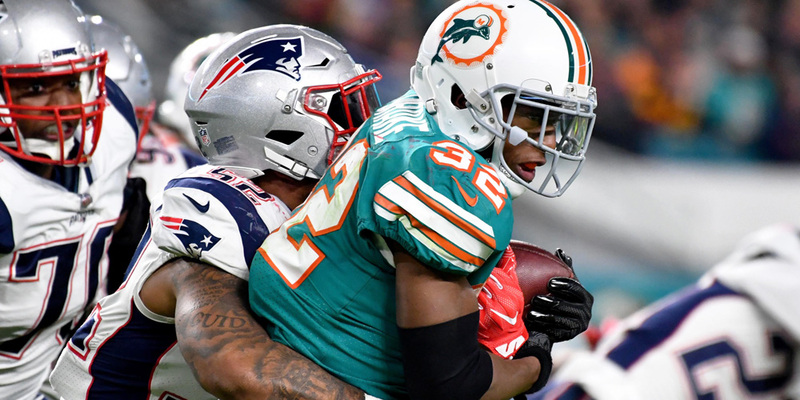 Williams is a free agent this offseason and could very well be sporting a new uniform next season, but the Dolphins will likely add at least one running back. Rumor has it Miami is a big fan of LSU running back Derrius Guice. Guice would certainly lower Drake’s ceiling, but Drake will have the opportunity to have an important role in the offense, specifically the passing game. 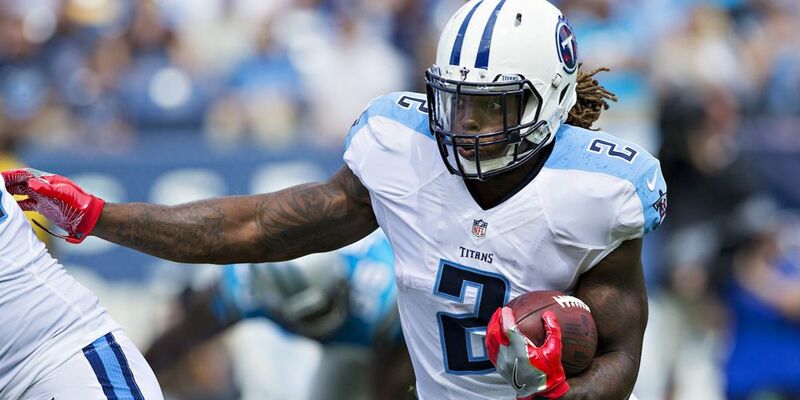 If he remains the starter then an RB2 finish in PPR leagues isn’t out of the question. To start, if the Giants draft Saquon Barkley with their No. 2 overall pick then this entire entry is moot. Seemingly the only scenario in which the Giants won’t draft Barkley is if the Browns grab him with the first overall pick. For now, though, things are looking up for Gallman. Orleans Darkwa and Shane Vereen are impending free agents and Paul Perkins might as well be bussing tables at a Perkins restaurant following his effort last year. 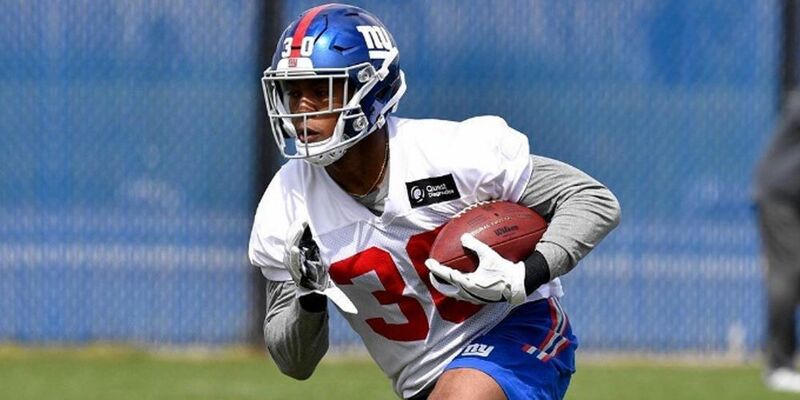 As long as the Giants pass on Barkley then Gallman will have a legitimate shot to earn significant playing time in his sophomore campaign. As a rookie, Gallman showed the most upside in New York’s crowded backfield, which isn’t saying much but particularly in the passing game. Over the last four games of the season, Gallman averaged 11.25 carries, 4.40 yards per carry and 4.75 catches. Gallman has a good chance of being underrated in 2018 sans Barkley. New head coach Pat Shurmur knew exactly how to maximize Jerick McKinnon’s potential in Minnesota — McKinnon was heavily incorporated in the Vikings’ passing game. Gallman could be Shurmur’s next McKinnon. 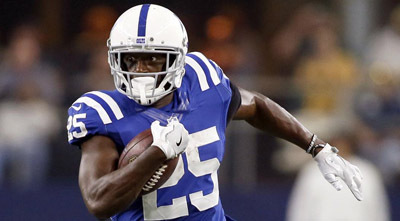 The Colts will likely add at least one more running back this offseason as Frank Gore will not be retained after three seasons in Indianapolis. Truth be told, Mack deserved more looks behind Gore in 2017, former head coach Chuck Pagano even admitted that. Mack did play a decent role through the air to the tune of 21 catches for 225 yards and a touchdown, but he carried the ball only 93 times in 14 games. His 3.8 yards per carry don’t stand out on paper, but there were several instances of flashy playmaking ability from the former South Florida phenom. We don’t know how new head coach Frank Reich and his staff will want to utilize Mack, but they can’t ignore his skill set. To score four total times on just 114 touches is the epitome of efficiency. Again, we need more clarity on how Reich plans to use his sophomore running back once the offseason dust settles, but Mack earned more playing time and warrants flex consideration with added value in PPR leagues. Both Eric Decker and Harry Douglas are impending free agents. Decker’s absence, in particular, would create a decent amount of targets in Tennessee’s passing game. The Titans were rumored to be one of the favorites for Jarvis Landry’s services, but he is headed to the Cleveland Browns, so the breakout path is clearer for Davis on that front. The second-year receiver missed five games as a rookie due to a nagging hamstring ailment, so a mulligan of sorts may be in order. He wasn’t terribly efficient when he was playing, catching 52.3% of his targets. He’ll be going for his first NFL touchdown this year, too. With a year of experience and another offseason to recover and further develop a rapport with Marcus Mariota, jump on the bandwagon now before it’s too late. 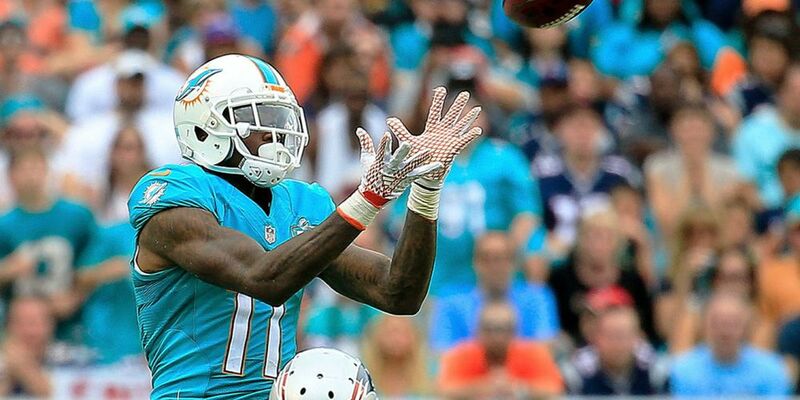 Jarvis Landry and the Dolphins have parted ways. Consequently, the No. 1 wide receiver position is for the taking in Miami. As it stands, Parker is the favorite to assume that role ahead of Kenny Stills and others. Perhaps no wide receiver needs a breakout more than Parker, who was one of the more hyped up players last offseason. Disappointingly, he turned in an underwhelming effort partially thanks to an ankle injury. In 13 games Parker managed a paltry 57 catches for 670 yards and one touchdown. The one touchdown is especially disturbing considering Parker’s 6-foot-3, 209- pound frame and the fact that he was targeted six times inside the 10-yard line. It would behoove Miami to add at least one pass-catcher between now and May and that potential move would certainly impact Parker’s fantasy value. As it stands, though, he holds a low-end WR2 to a high-end WR3 ceiling. Like Parker, Moncrief was supposed to break out last year. That is until we realized Andrew Luck’s throwing shoulder was a bigger issue than was first let on. Not only was Moncrief deprived of Luck, but the injury bug bit him for a second straight season as he missed four contests with a shoulder sprain. Bad luck — pun intended — and bad health resulted in a forgettable 26-catch, 391-yard and two-touchdown stat line from Moncrief. His durability is officially a concern, but hope springs anew with the prospect of a new season and a new team. 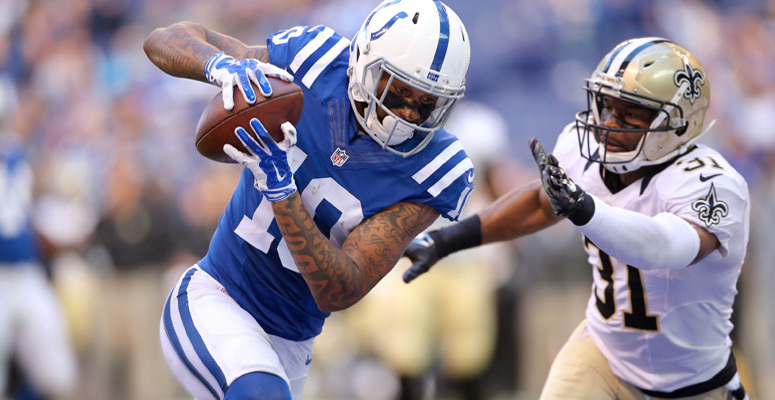 Moncrief is not expected to re-sign with the Colts and has already been linked to the Baltimore Ravens. Now a wide receiver breaking out with Joe Flacco as his quarterback is thinking oxymoronically, but let’s not let Flacco’s underwhelming career ruin our optimism, albeit naïve optimism. Moncrief is a legitimate threat near the end zone, as was witnessed during his tenure in Indianapolis. He scored 13 times between 2015 and 2016 and his seven touchdowns in 2016 came in just nine games. If Moncrief stays on the field and is used properly then a WR2 finish is an attainable outcome. There’s bound to be a breakout wide receiver on the Jaguars in 2018 with the departure of Allen Robinson. My money’s on Keelan Cole, although Dede Westbrook also makes plenty of sense. 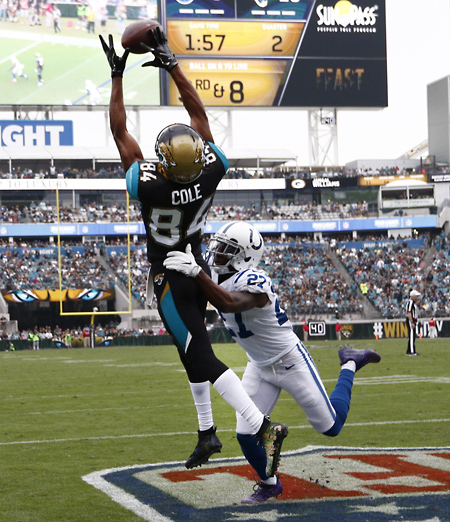 What makes Cole an easy breakout candidate is that, believe it or not, he was the No. 1 standard fantasy wide receiver and No. 4 PPR wide receiver across the last five weeks of the 2017 season. Blake Bortles took a fancy to the 24-year-old rookie wideout as the year progressed, targeting him 83 times despite Cole starting in just six games. What’s more is that Cole managed 748 yards while catching just 50% of those 83 targets. In a short amount of time he gained Bortles’ trust and became Jacksonville’s go-to deep threat. In a receiving corps comprising of Marqise Lee, Cole and Westbrook, Cole has a better than good chance of yielding WR3 numbers at worst, assuming the Jaguars don’t add a big name at the position.